A 21st century response to Walter Dean Myers's classic Lockdown, The Free takes a look inside juvie, where Isaac West is fighting for a second chance. In the beginning, Isaac West stole to give his younger sister, Janelle, little things: a new sweater, a scarf, just things that made her look less like a charity case whose mother spent money on booze and more like the prep school girls he’s seen on the way to school. But when his biggest job to date, a car theft, goes wrong, Isaac chooses to take the full rap himself, and he’s cut off from helping Janelle. He steels himself for 30 days at Haverland Juvenile Detention Facility. Friendless in a dangerous world of gangs and violent offenders, he must watch his every step. Isaac’s sentence includes group therapy, where he and fellow inmates reenact their crimes, attempting to understand what happened from the perspective of their victims. The sessions are intense. And as Isaac pieces together the truth about the circumstances that shaped his life—the circumstances that landed him in juvie in the first place—he must face who he was, who he is . . . and who he wants to be. "A tight, claustrophobic novel that veers between the terror and camaraderie of incarceration; I don't know when I've read a more empathic novel, and it's been a long time since I read one that was more sorrowful and joyful at the same time." “A spellbinding novel about crime, taking responsibility, and finding a new path to justice." "A 16-year-old boy works to overcome a lifetime of obstacles in this riveting YA novel about life in 'juvie.' Brilliant." "A Boston-area youth in juvenile detention finds redemption in stories—his and his fellow inmates' . . . A penetrating look at the power in the stories we tell ourselves." 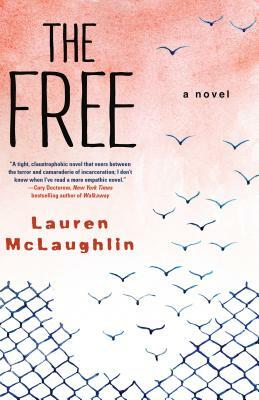 "Tightly woven, well-paced, emotionally framed, McLaughlin’s novel presents Isaac’s life: his irresponsible mother; his wonderfully brave younger sister; and what he is willing to do to provide Janelle with a safe environment. He has broken some laws and done some bad things, but he is the hero of this story." "The story is cinematically gritty, sort of a cross between Boys Town and Dead Poets Society, with lots of enjoyably dramatic breakthroughs in the therapy group and convincing details about racial and personal dynamics in detention (mixed-race Isaac has no obvious crew)."